Summer is officially over. Though I’m sadly packing away my favorite high waisted shorts and maxi dresses, the change of season means one awesome thing: FALL SHOPPING. 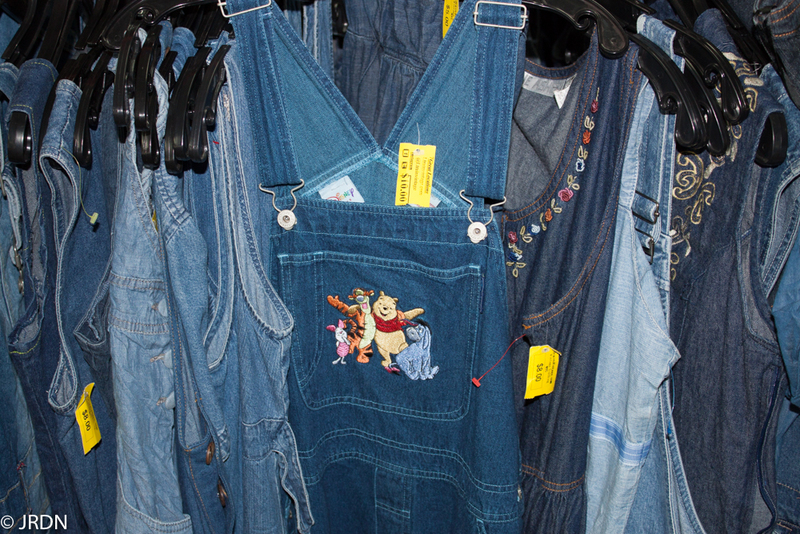 With suede, leather jackets and flared jeans on my mind, I decided this is an appropriate time to update my wardrobe. 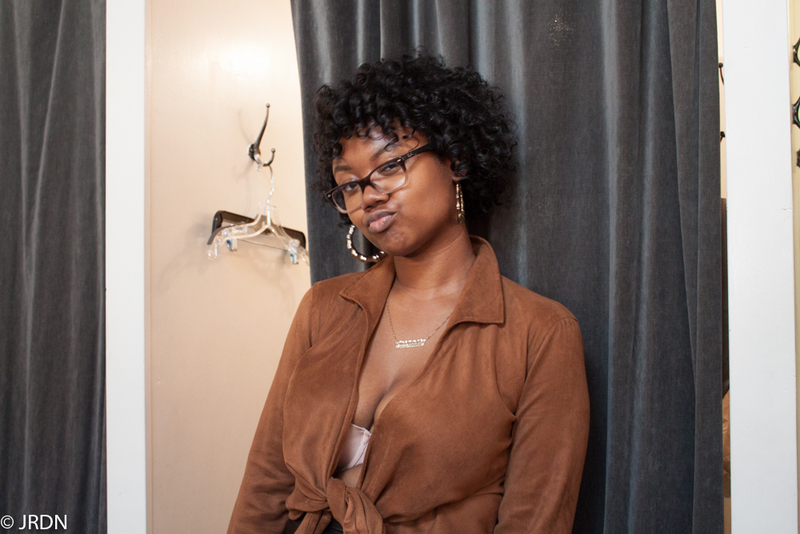 My good friend Bria, my $100 budget, and I hit the thrift stores of Bushwick, Brooklyn for some cheap alternatives of fall’s hottest trends. 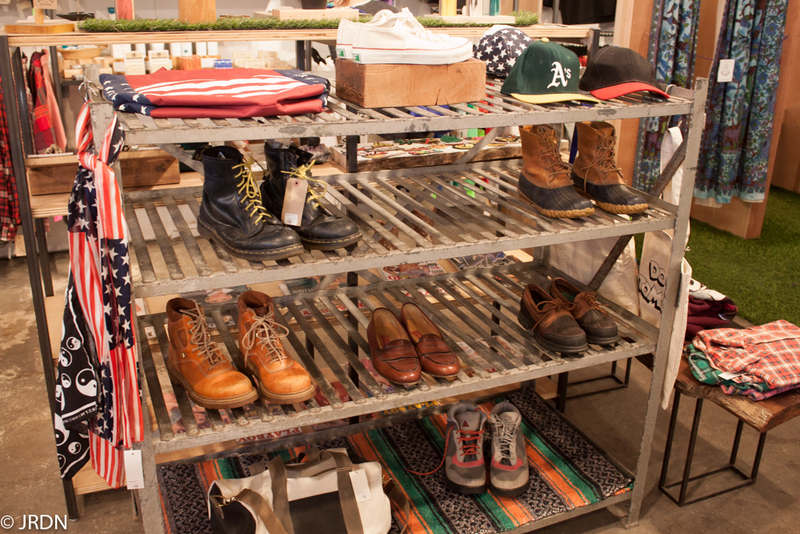 Checkout some standout pieces and info on the stores we checked out below! 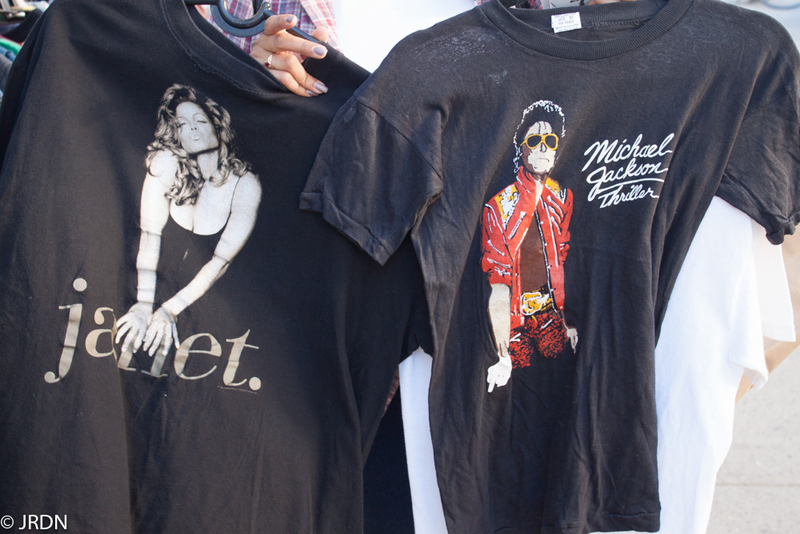 The first stop on our haul was my favorite thrift store, Urban Jungle . 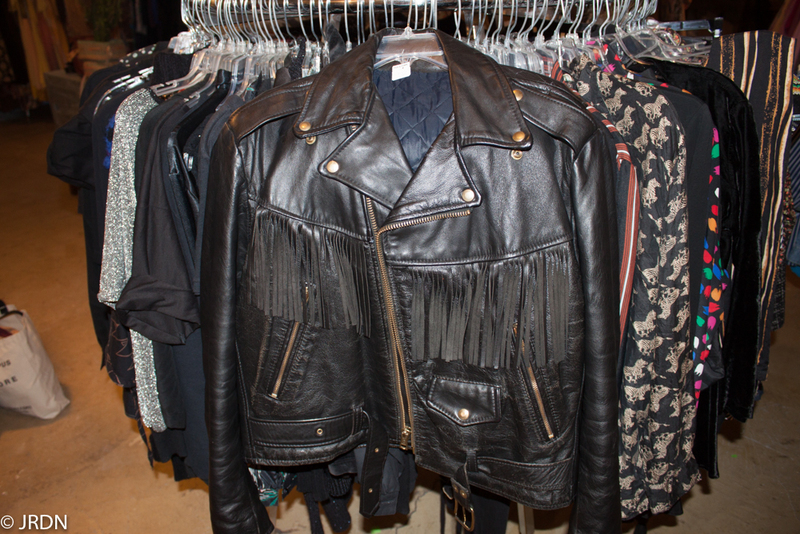 As soon as I walked in, I headed straight towards the leather jackets. Though I had a list of things I wanted to add to my closet, if I were to leave Brooklyn with the perfect leather jacket, I’d be content. 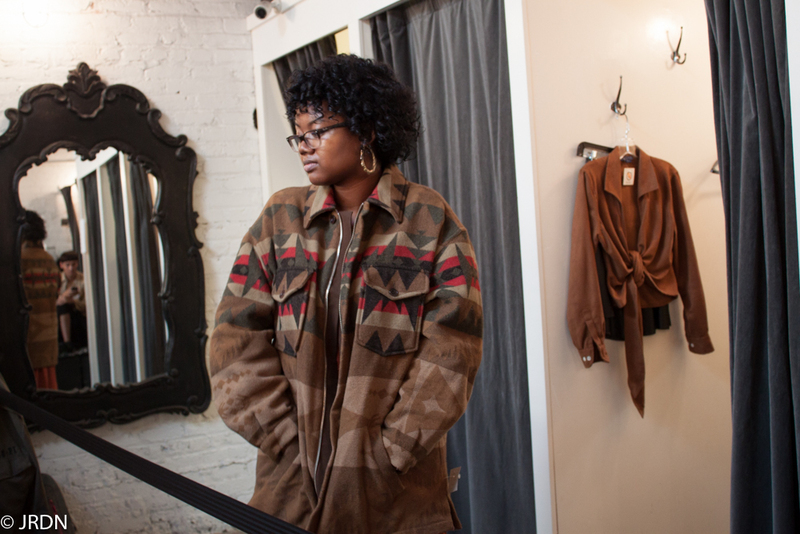 Urban Jungle has switched up its huge variety of clothing to full blown fall/winter apparel. There were plenty of chunky sweaters (tons of ugly ones for upcoming “Ugly Sweater” parties), flannels, camo pants, and variety jackets all for under $10. I ended up finding the majority of my pickups here! 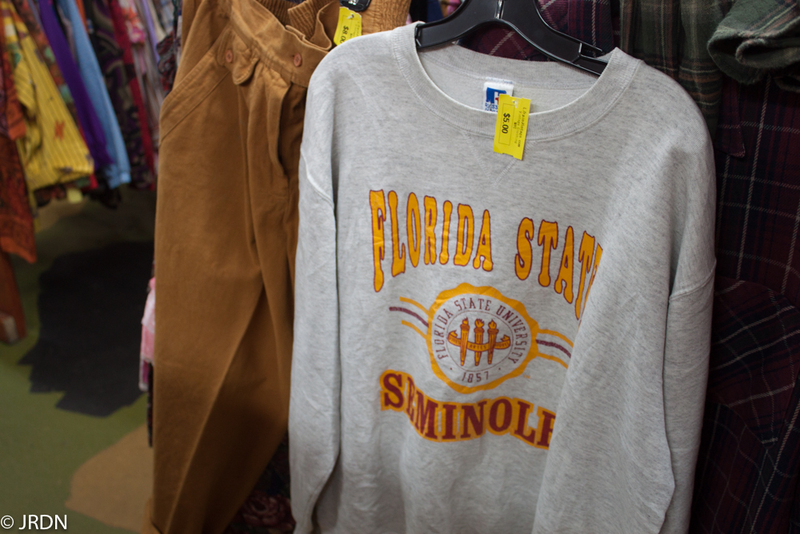 I spent a total of $48 on a Coach leather bag, floral printed skirt, high waisted pants, and to embrace my tomboy side, a FSU sweatshirt. 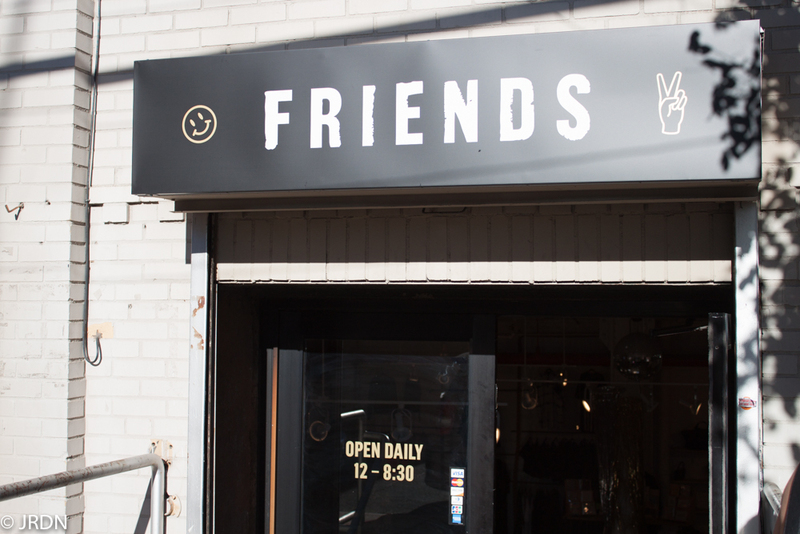 Next up, we hit Friends NYC on Bogart St. 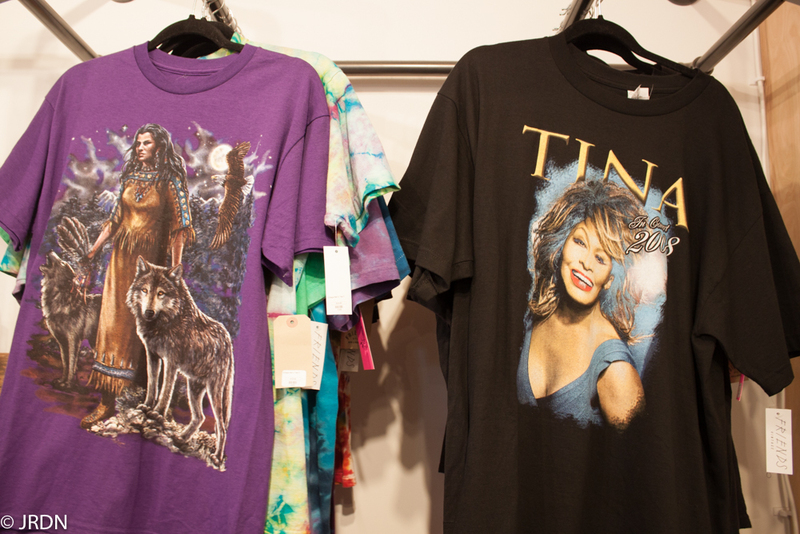 Walking into Friends, I instantly felt like I was working back at Urban Outfitters. 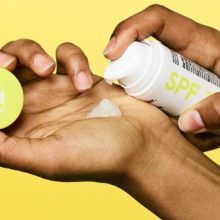 They carry many of the same skin and body care products as UO for about the same price. 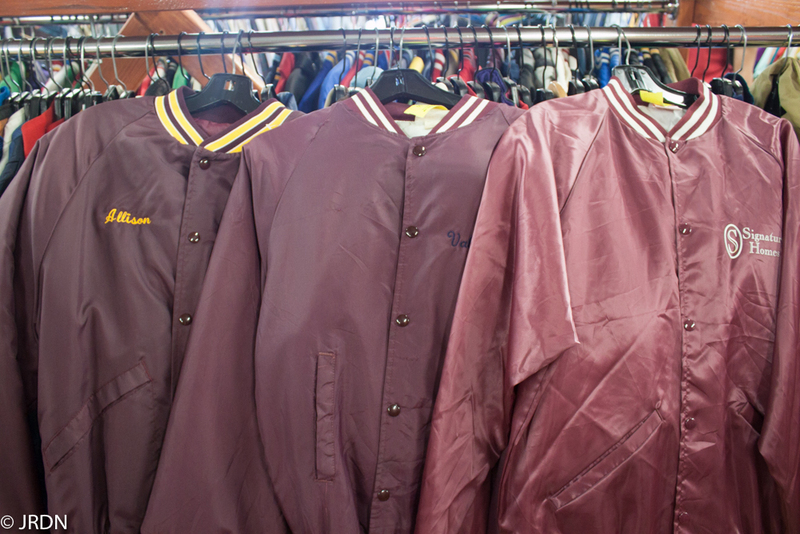 Though it’s a vintage store, many of the items seemed a bit overpriced. 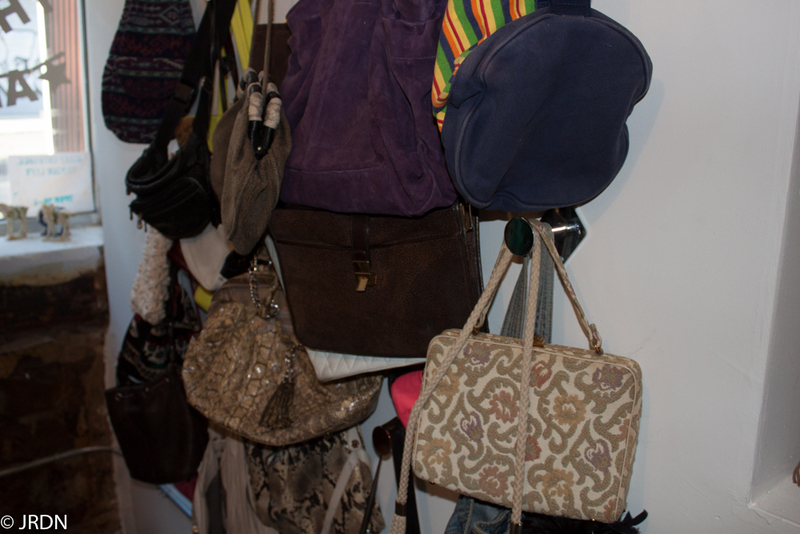 ( I found the same Coach bag I got from Urban Jungle for about $12 more.) Regardless of the pricing, I continued to search through the racks in hopes of crossing some more items off my list. 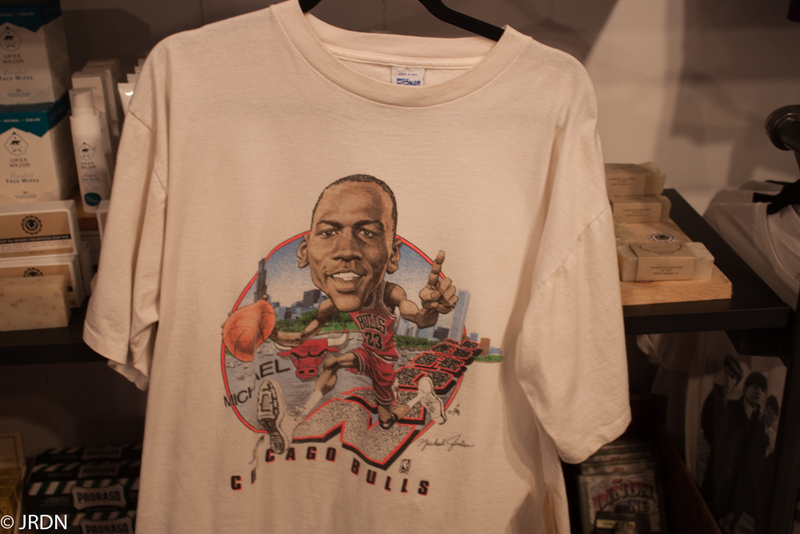 If you’re willing to spend a bit more money, Friends is a good place to find some rare vintage tees and awesome accessories. 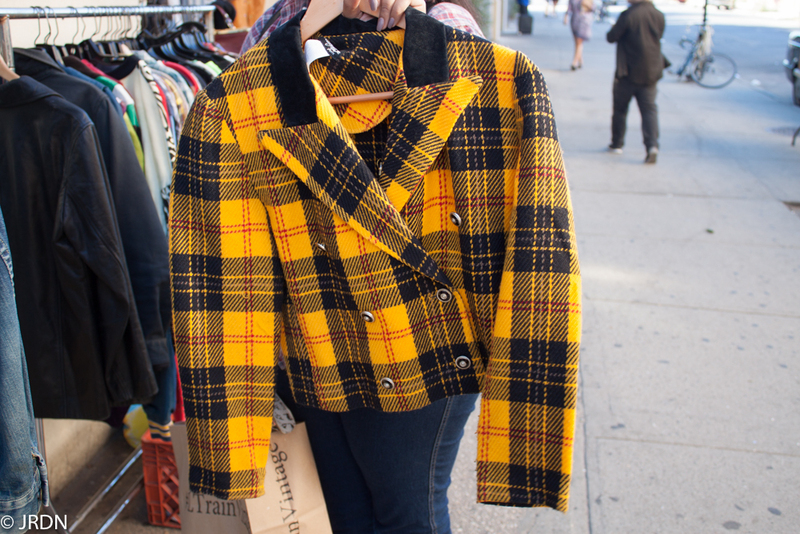 The awesome thing about Bushwick, other than it’s dope street art, is that people sell vintage finds on the street! 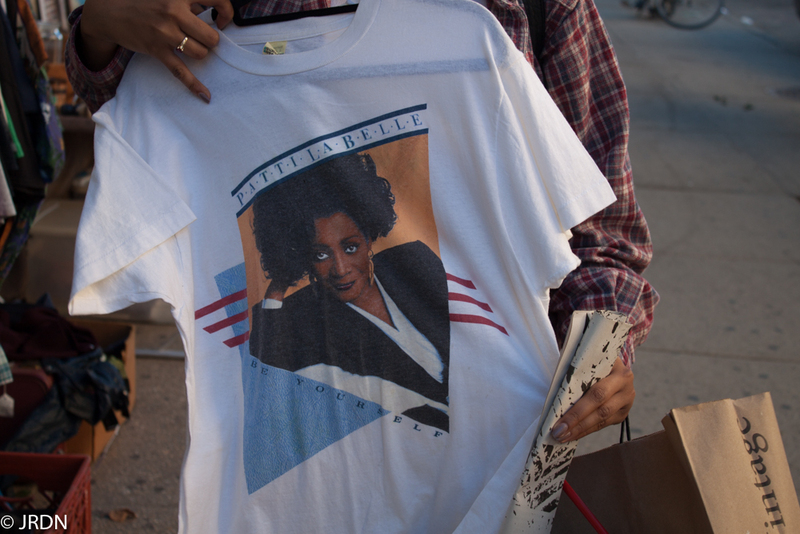 We ran into a vintage seller directly across the street from Friends who had all the gems. 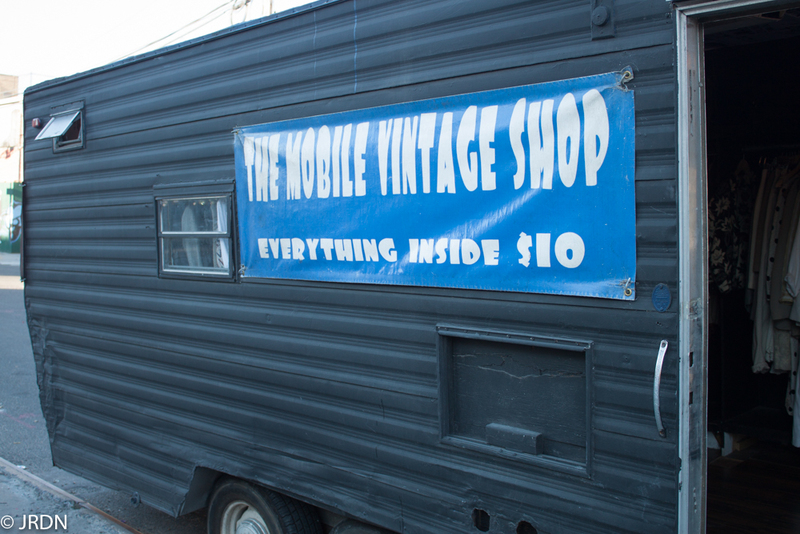 We also found The Mobile Vintage Shop on the side of the street. “It’s the inside the counts” is the perfect quote for this mobile store. 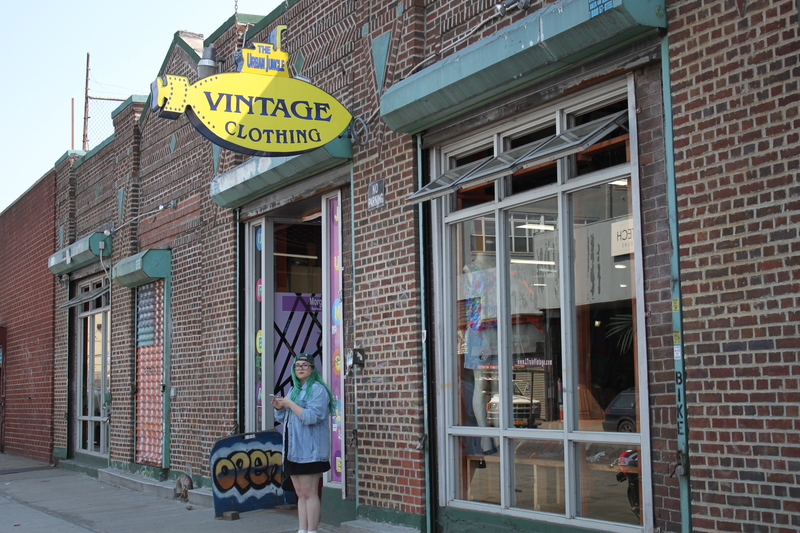 Though on the outside it didn’t look too promising, the inside was filled with wood floors, racks of color coordinated mens and women’s clothing, records and more all for $10 or less! 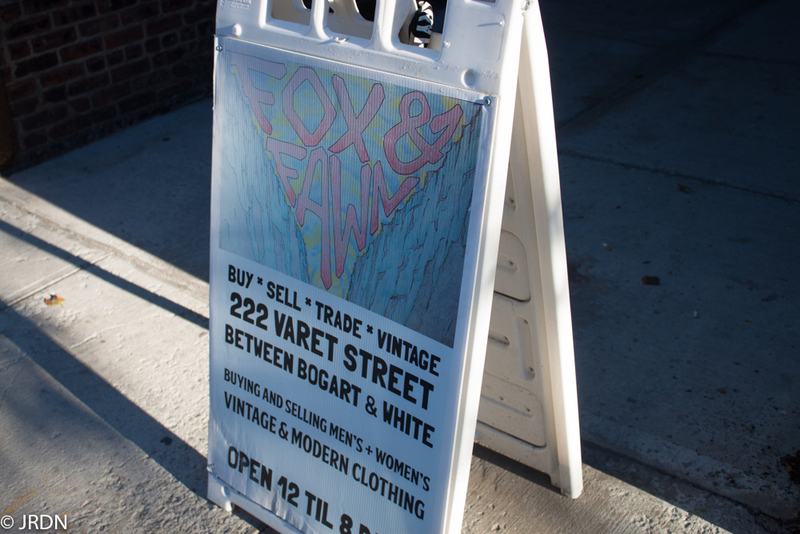 Our last stop of the day was Fox and Fawn on Varet Street. 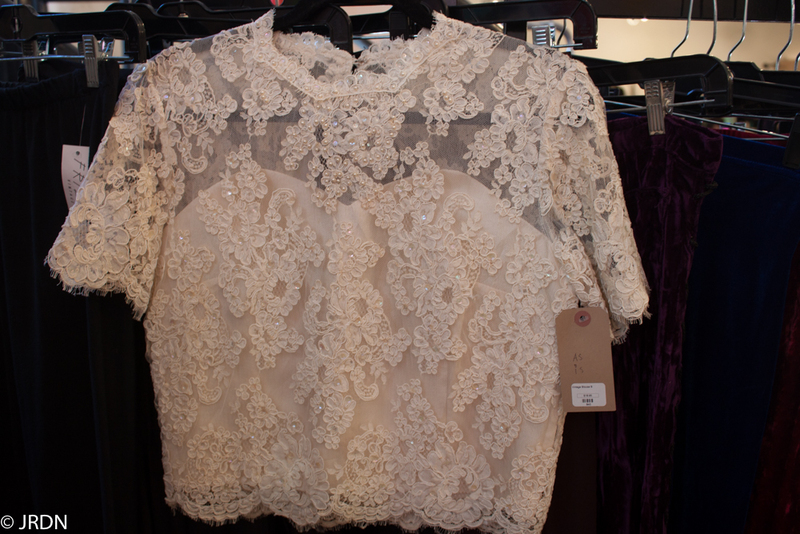 Fox and Fawn had a variety of lace dresses, accessories, and men’s apparel all organized by color. This store had the best jackets and sneakers for men while they had some great moderately priced vintage lace dresses for women. My eye immediately landed on a black leather jacket with fringe on the back and chest. This jacket was a beauty and only $69. 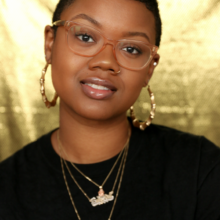 Though the fringe made my Harlem shake look immaculate, I ended up leaving it because it was a bit too big and simply wasn’t saying my name. 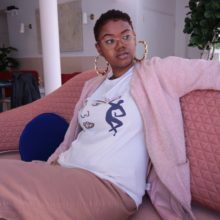 Keep in mind you can always get your thrift finds tailored if you think it’s worth it! With a new purse, floral print skirt, suede crop top and more stuffed into my bag, I had a somewhat successful thrifting trip and only spent $64! Refer to me as Foxy Cleopatra from here on out! 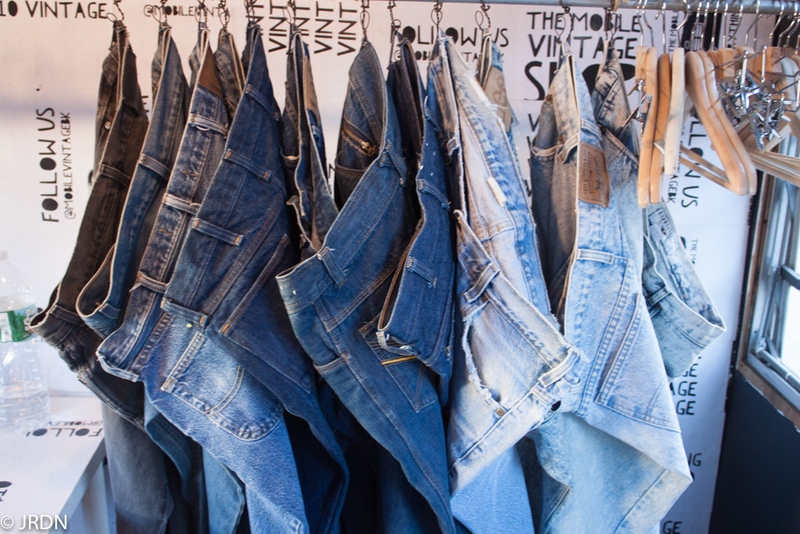 What are some of your favorite fall trends and thrift stores? Let me know in the comment section!